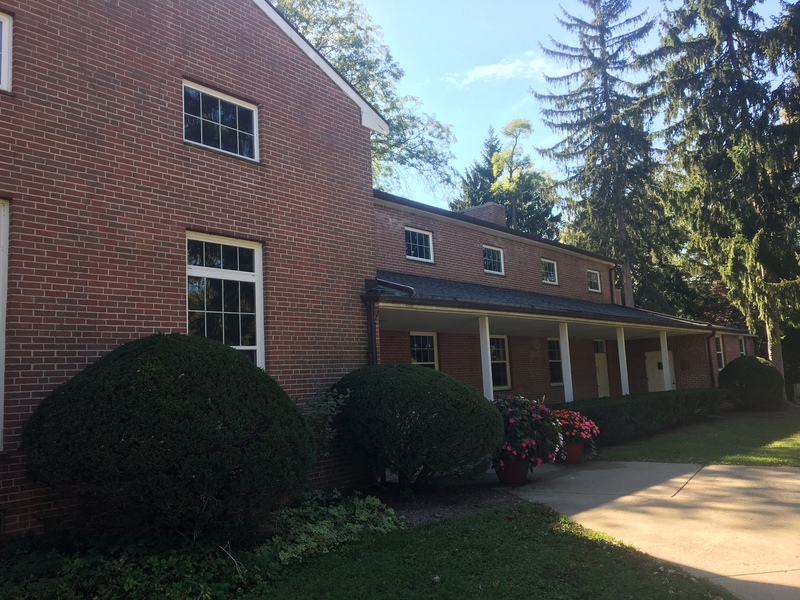 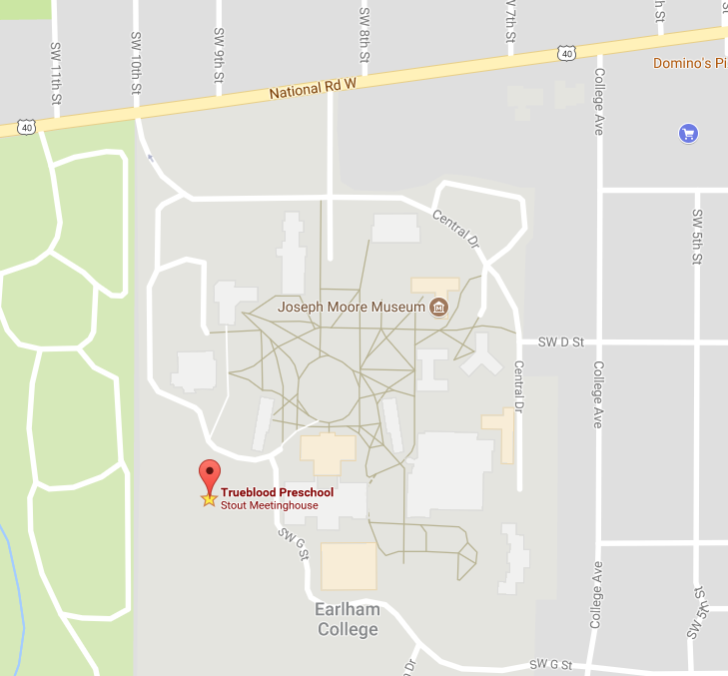 Trueblood Preschool is located on the campus of Earlham College, but is operated independently by Richmond Friends School. 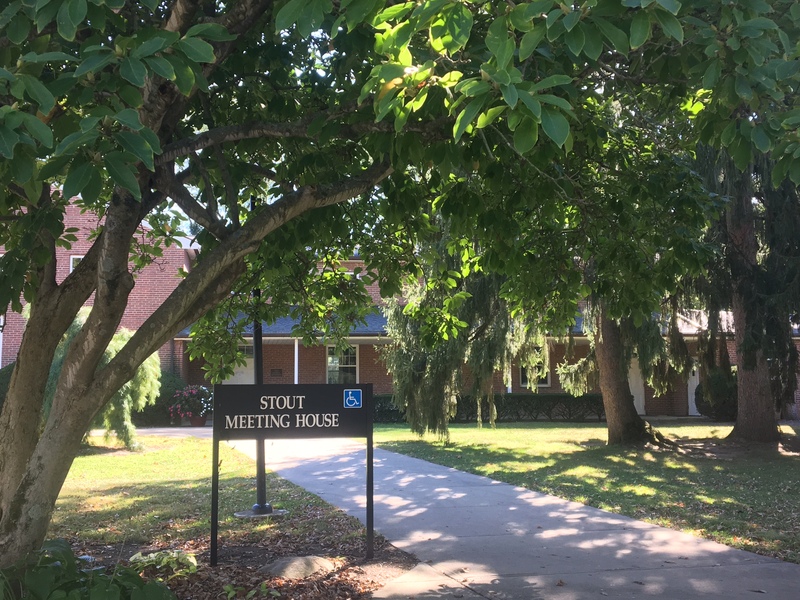 Once on campus, follow signs for Stout Meetinghouse (Trueblood is located inside the meetinghouse). 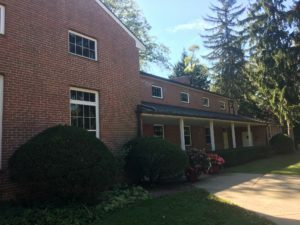 Turn left on North A St. 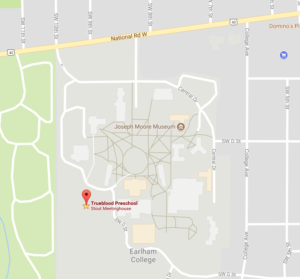 Turn right on US 40/National Road.